We assert our presence as an international university through our globally-relevant research, and extend our influence around the world through our network of globally competent graduates. We recognise that student expectations are driving rapid change in the higher education sector. 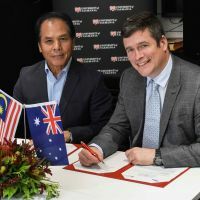 This, along with changes to the Australian higher education regulatory frameworks and increasing global competition, prompt us to be prepared for the challenge to deliver a holistic and seamless high quality international student experience. The University of Tasmania is ranked among the top research-intensive universities within Australia and globally. The strength and diversity of our research is reflected in our consistent world-class performance across a breadth of disciplines and our global leadership in marine and earth sciences, agriculture and forestry. We will capitalise on our particular strengths to establish cutting-edge research across disciplines to find solutions to global problems, and partners with peers around the world to advance the frontiers of knowledge. We are a global community in all our scholarly endeavours. We have grown steadily to become truly international, both in outlook and in influence. We are at the international forefront across a number of thematic research areas and our research excellence is formally recognised through international rankings, which all place the University amongst world leading institutes. Global Engagement initiates, manages and supports our strategic relationships with our international partners. We are proud to have around 4,500 international students from 147 countries studying with us. We provide coordination and delivery of recruitment strategies to maximise domestic enrolments at the University of Tasmania. The Office of Marketing is responsible for central marketing, domestic student recruitment and University web management services. The English Language Centre offers a variety of English language teaching programs taught by fully qualified, highly committed teachers. Studying overseas is a unique opportunity that adds to students' studies as well as their professional and life experiences. 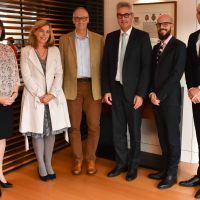 The Ambassador of Switzerland, His Excellency Mr Pedro Zwahlen visited the University of Tasmania, Sandy Bay Campus, with his Science, Technology and Education Advisor, Mr Sébastien Monnet and the Honorary Consul for Switzerland, Professor Margaret Otlowski. 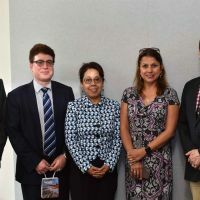 On Friday 15 February 2019, Mr Deepak K Khadka, Honorary Consul-General of Nepal, with jurisdiction in NSW, SA and TAS, was hosted by Mr Greg Marshall, Associate Director, International and Mr Cameron Parsons, Manager, Global Partnerships, at the University of Tasmania Sandy Bay Campus. 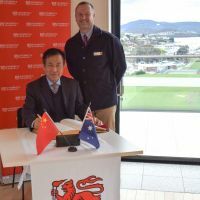 Vice-Chancellor, Professor Rufus Black and his colleagues met with His Excellency Mr Jingye Cheng, Ambassador of China, at the University of Tasmania Sandy Bay Campus this week. 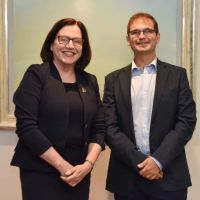 On Wednesday 23 January, Mr Dario Polski, Embassy Secretary of Argentina was hosted at the University of Tasmania Sandy Bay Campus by Acting Vice-Chancellor, Professor Jane Long and Mr Rob Wilson, Executive Director, International.The Embassy Secretary visited to brief the university on the recent G20 Leadership Summit, hosted by Argentina. 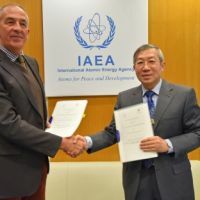 On 12 December 2018, the International Atomic Energy Agency (IAEA), Austria, and the University of Tasmania signed a Memorandum of Understanding. 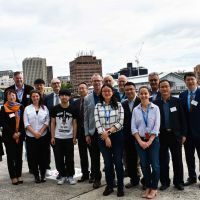 A delegation from the highly ranked Ocean University China (OUC) traveled to the University of Tasmania to participate in a joint research workshop in November, 2018. Delegates from International Medical University (IMU), Malaysia, Professor Abdul Aziz Baba, President, Vice-Chancellor and CEO, IMU Education and Professor Toh Chooi Gait, Pro Vice-Chancellor, Strategic Development and International, visited the University of Tasmania Sandy Bay Campus in early December 2018. 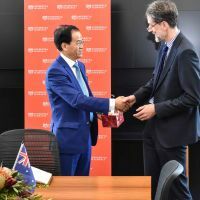 A visiting delegation from Northeastern University, located in Qinhuangdao, China, were hosted by the University of Tasmania in early December 2018.